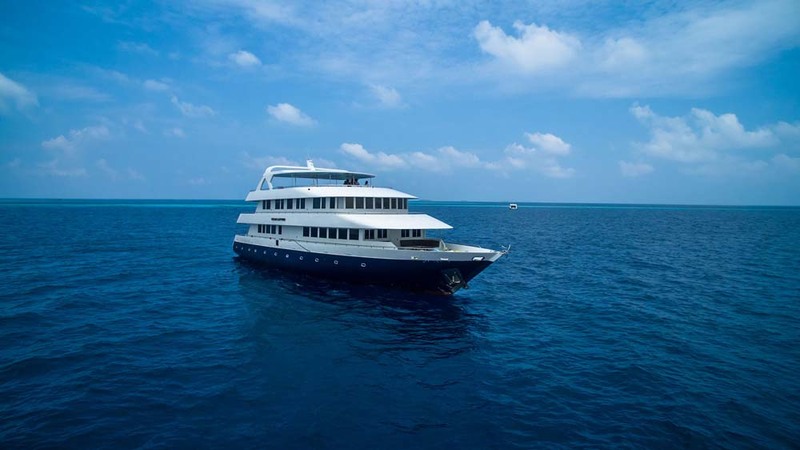 MV Ocean Sapphire is a wonderful ship on which to enjoy some of the best diving in the Maldives. 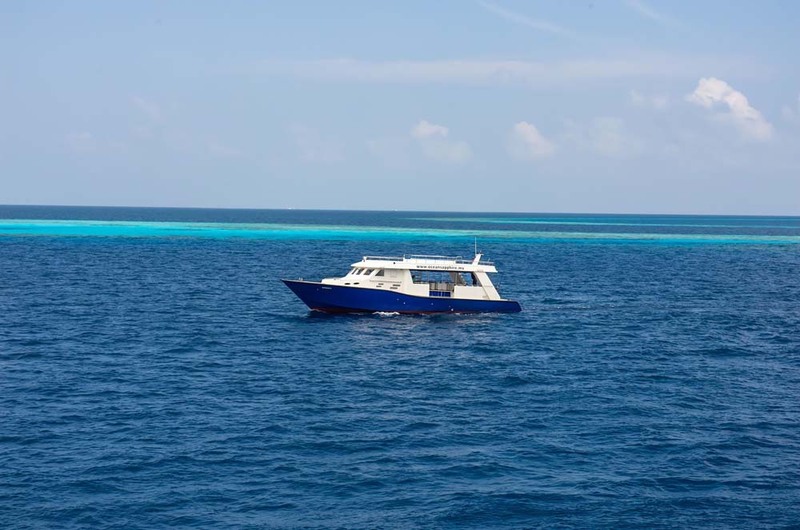 Week-long trips include ‘Magic of the Mantas’ as well as ‘Best of The Maldives.’ The boat was purpose built in 2012 with luxury, safety & relaxing enjoyment as its priorities. 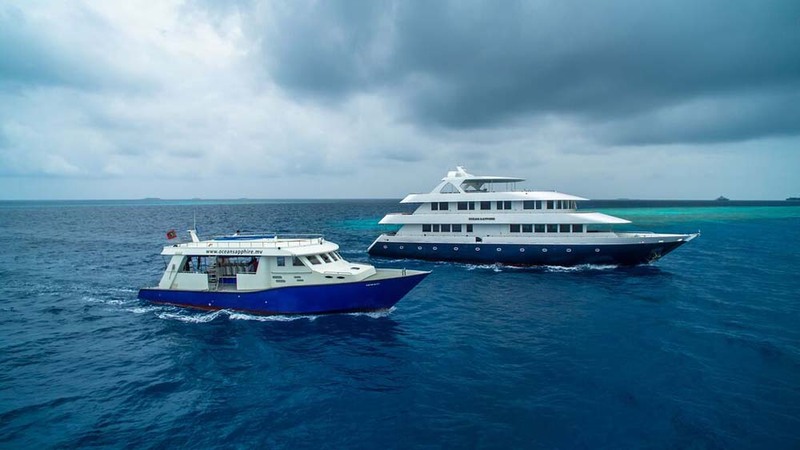 There are several cabin types to choose from, and the facilities and service on board would suggest that Maldives diving cruises on this boat should be more expensive than they actually are. The boat’s size, design, quality & comfort are all at just the right level for discerning guests to enjoy luxury diving safaris without breaking the bank. Wi-Fi internet and Nitrox fills are available for free. At 35m. 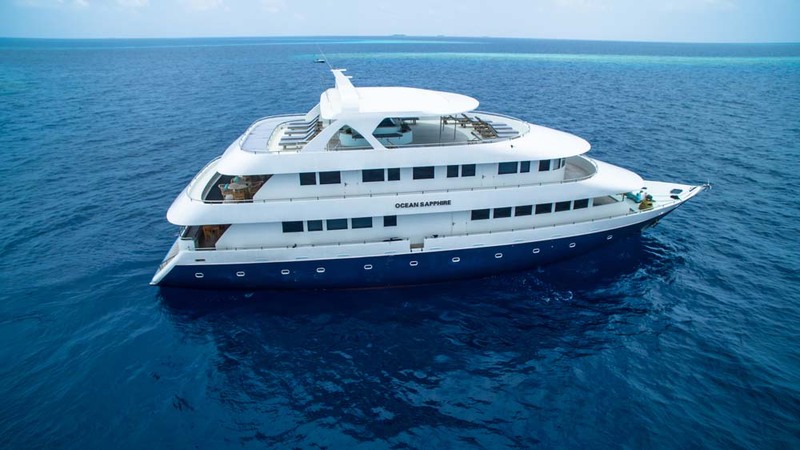 in length and purpose built as a Maldives diving liveaboard, MV Ocean Sapphire ticks all the right boxes for facilities that most guests are looking for. 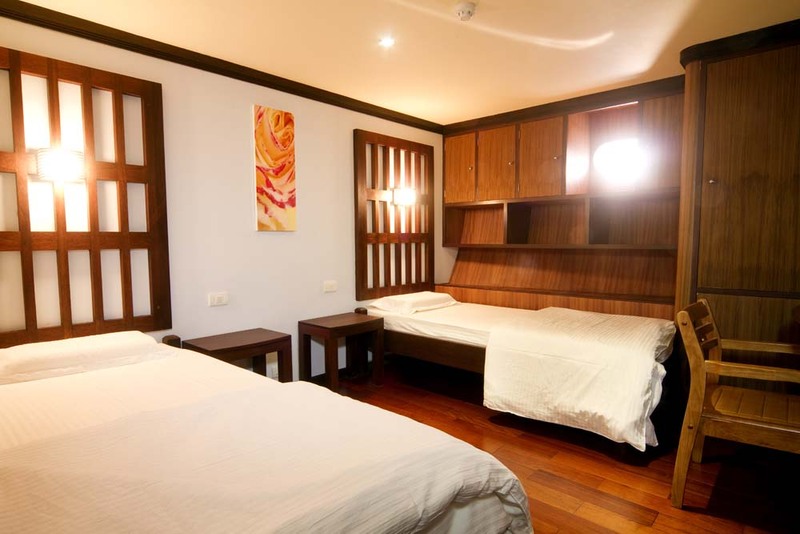 Communal areas include a large outdoor Jacuzzi, air-conditioned & outdoor dining and lounge areas, a large sundeck, and AV entertainment for watching a movie or showing the day’s underwater video footage. 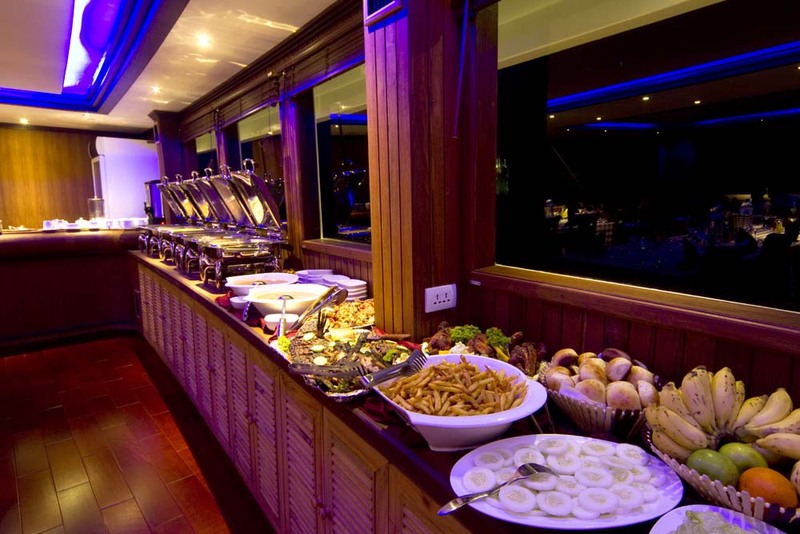 The crew are always on hand to serve and help, and the international & local food is delicious. 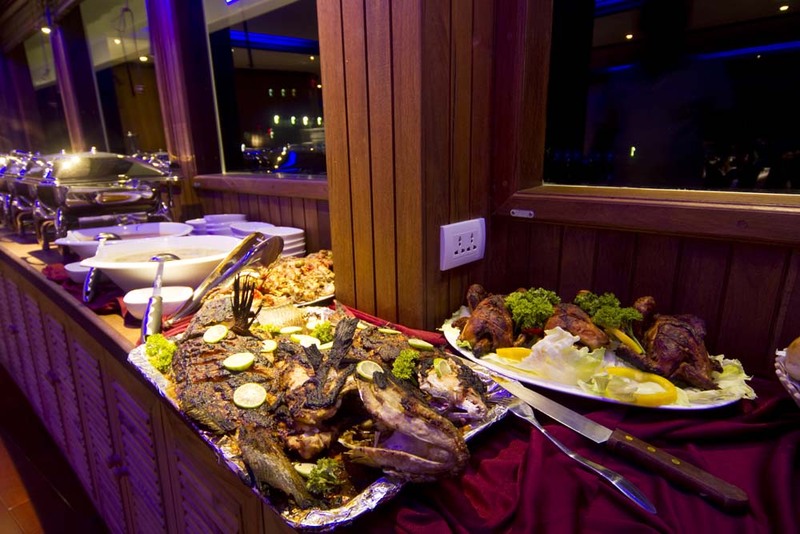 Don’t expect to lose any weight on an Ocean Sapphire diving cruise! 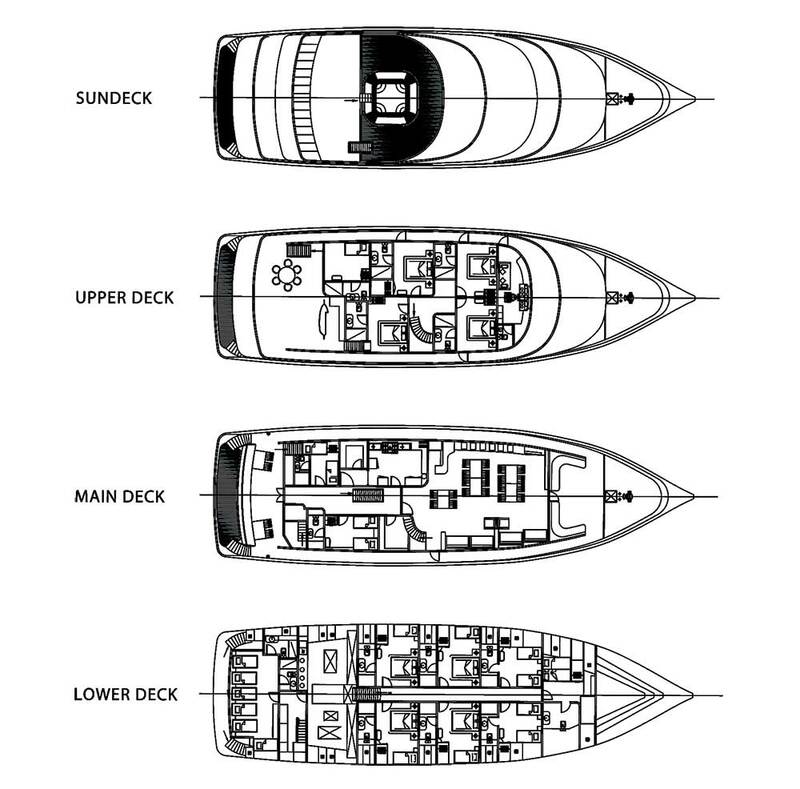 To maximise space on the boat, diving equipment is stored on the tender vessel (known as a ‘dhoni’) which takes divers to the exact spot above each dive site. In fact, other water sports are available and (weather permitting) there is a BBQ on a pristine beach one evening during each trip. 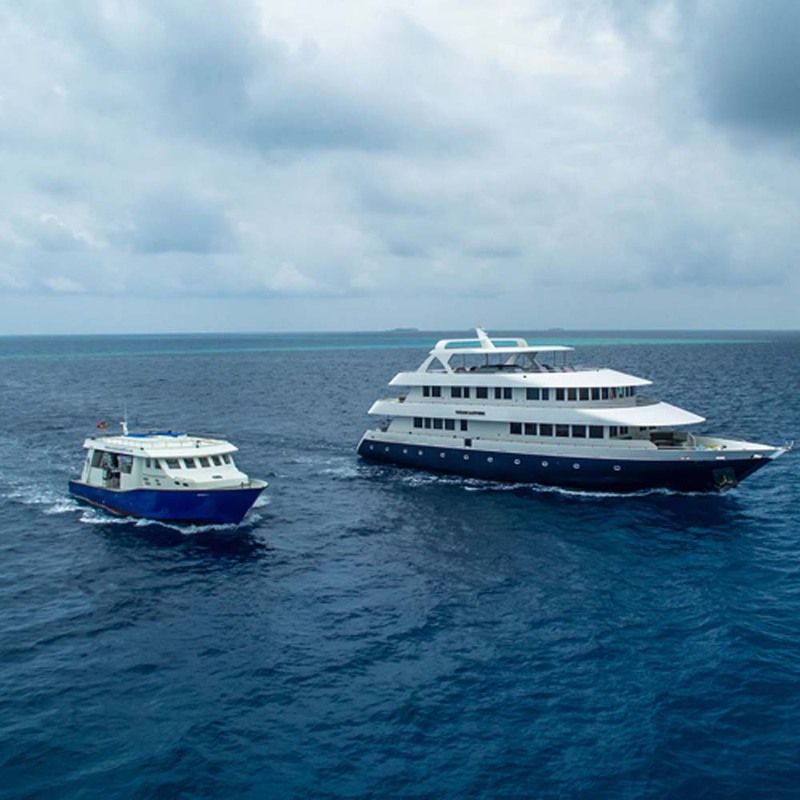 The accommodation of Ocean Sapphire is not only among the best of any Maldives diving liveaboard boat, there is currently a promotion in which all cabins are sold at the same price, and those who book first get to enjoy the best, which have a double bed and a bathtub. 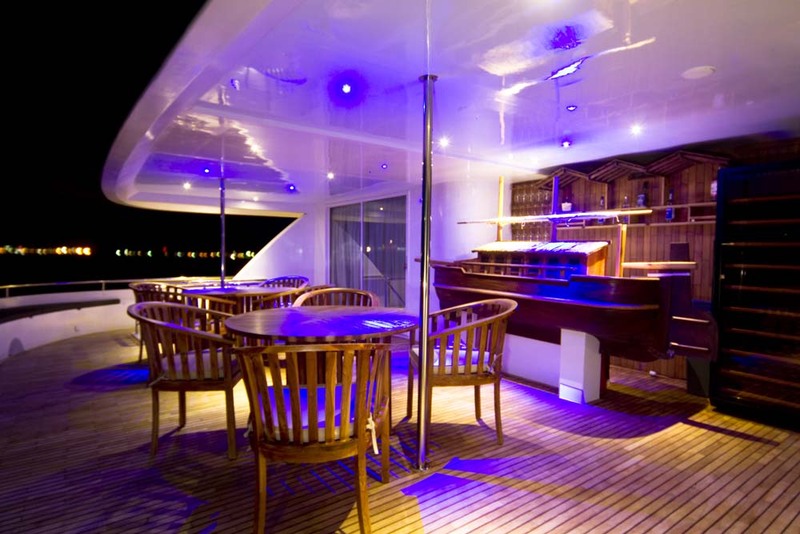 Ocean Sapphire’s cabins are located on the lower & upper of the boat’s three decks. 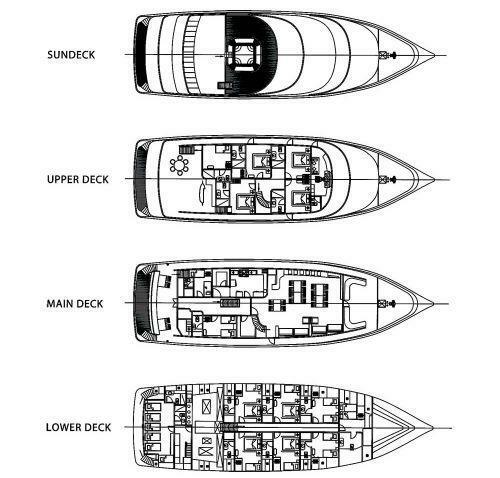 The lower deck has 7 large cabins, including twins and doubles, and there is a family cabin with an extra bed and a bathtub. 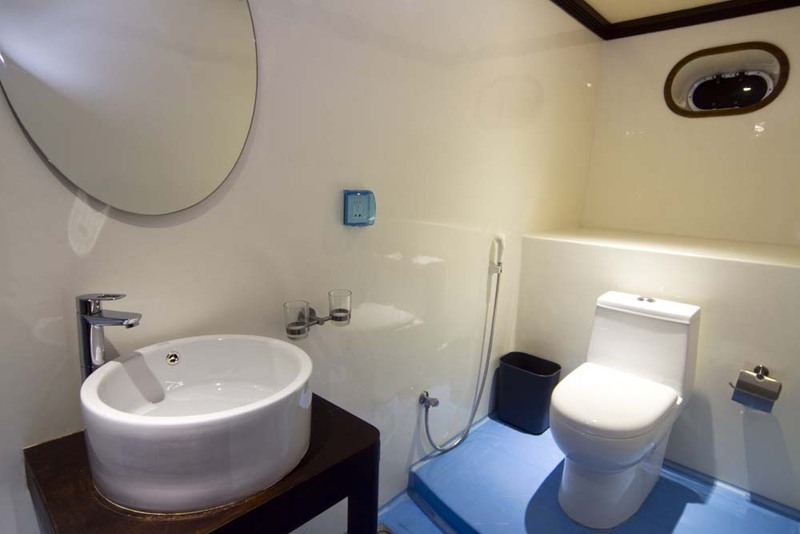 All of Ocean Sapphire’s cabins are air conditioned, have private en suite bathrooms, wardrobe, dressing table & chair, safe and individually-controlled lighting. 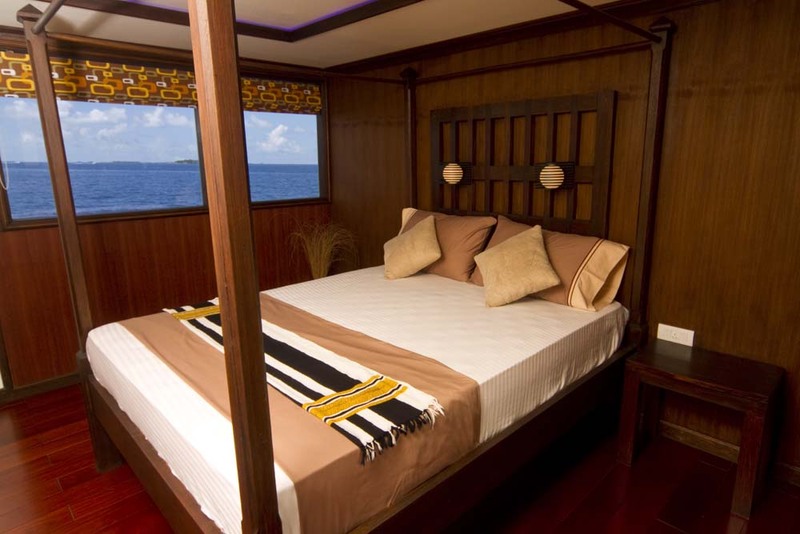 The upper deck double bed cabins are usually the most popular (especially when sold at the same price) and in addition to the private bathtub, each cabin has large windows for guests to enjoy the wonderful views of the Maldives Archipelago. 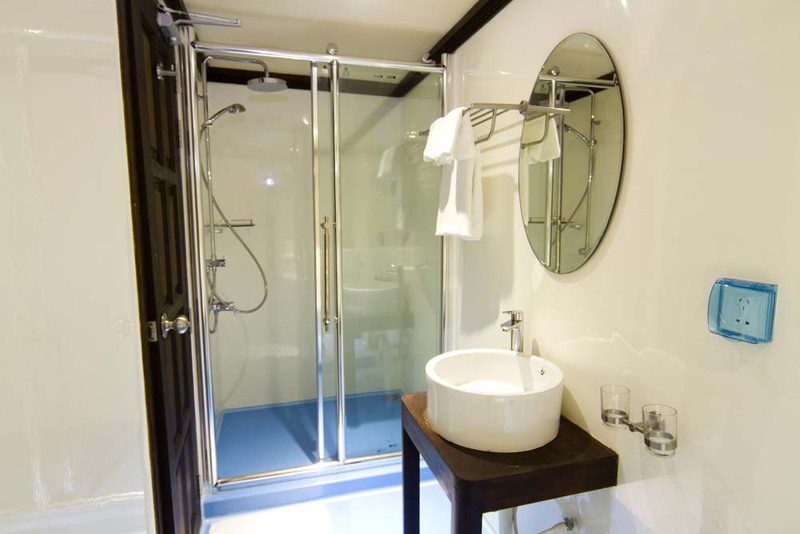 The Jacuzzi is designed for up to six adults, and is located on the upper deck, where there are also showers. 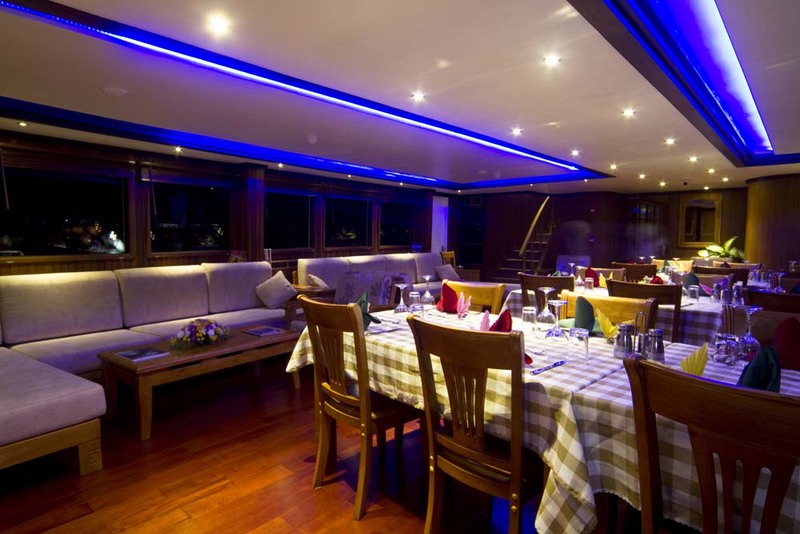 The middle/main deck of Ocean Sapphire is where guests can enjoy fine dining in the air-conditioned restaurant and saloon/lounge. 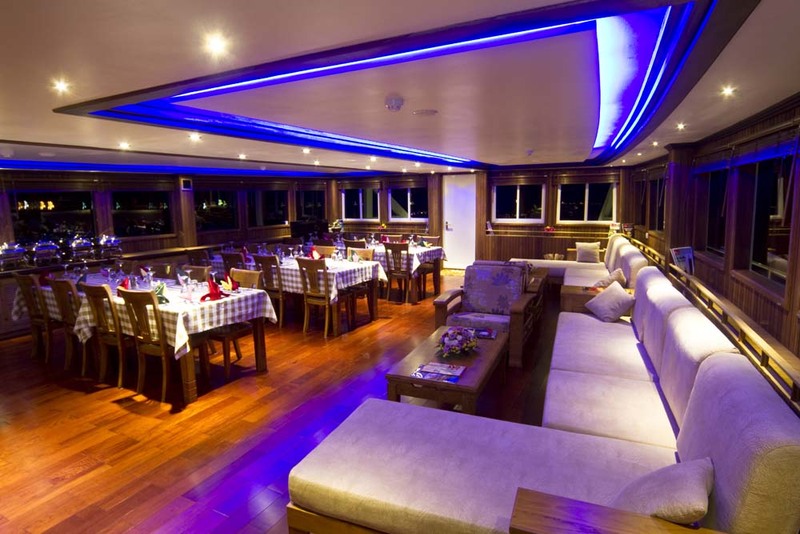 There is an outdoor sofa area at the front of the boat to enjoy the sea breeze, views and maybe an afternoon or evening drink from the internationally-stocked bar. Subject to availability and pre-booking, there are also a number of other non-diving activities possible on this wonderful boat. These include beauty spa, jet ski, banana boat & wakeboarding. 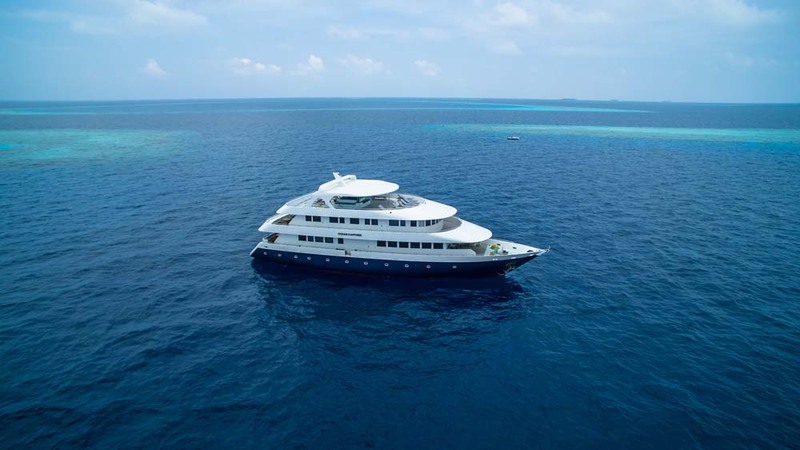 All in all, anyone joining an Ocean Sapphire Maldives diving safari is almost guaranteed to enjoy every second, both on board and under the crystal clear water. 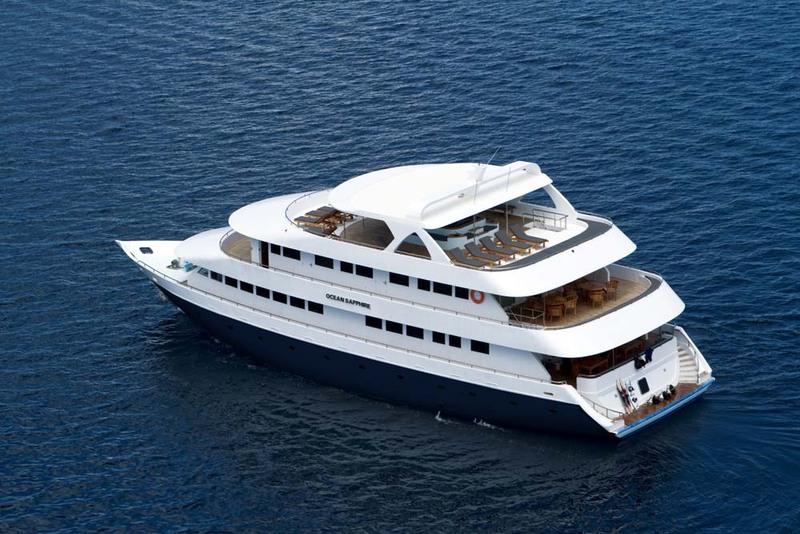 It is important to book well in advance though, because this large diving yacht has a guest of just 22 lucky guests. 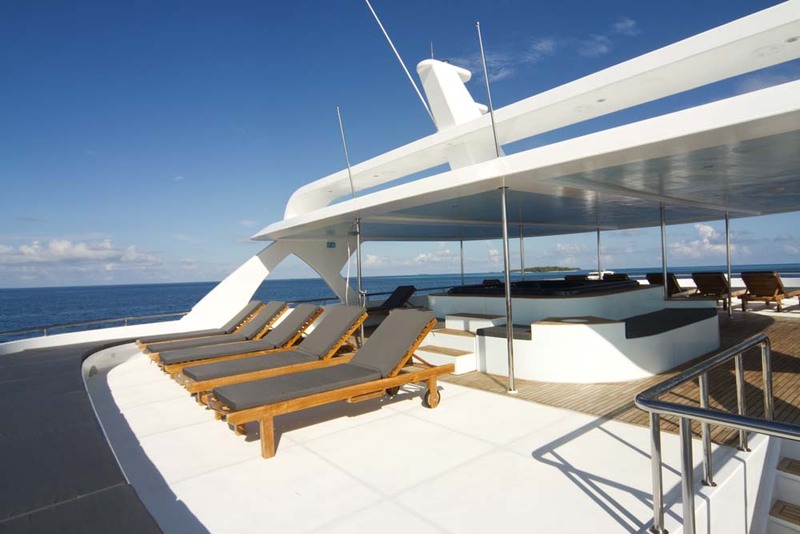 Ocean Sapphire has two main itineraries, chosen depending on the time of year and/or month. 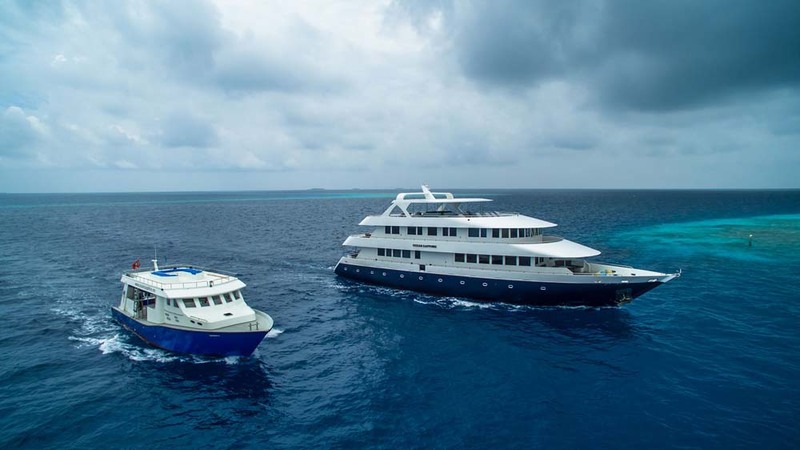 Most cruises are around North Male, North & South Ari Atolls, and Vaavu Atoll. 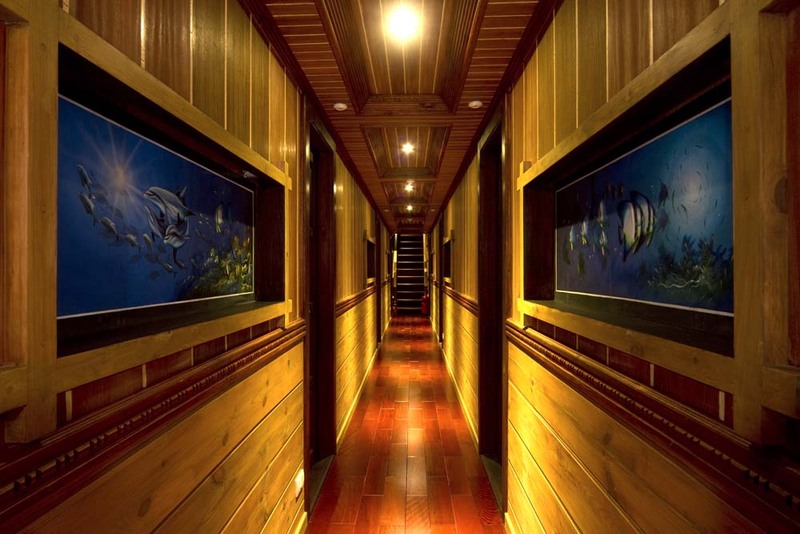 These trips are referred to as ‘Best of Maldives.’ However, during certain moon cycles of August to October, there are trips known as ‘Magic of the Mantas’ during which sightings of Manta Rays are much more likely than at other times. Days 1 & 8 are for boarding (daytime & evening) and disembarking (morning), with the diving taking place on days 2-6. There are normally up to 3 dives per day. Water Production: 12000 Litres / Day. A selection of PADI courses are available on Ocean Sapphire cruises, but these normally need to be booked in advance so that the team can prepare staff and materials. Please contact us for details. Ocean Sapphire guests can enjoy a free transfer from male Airport to the boat on departure day, and back to the airport at the end of the cruise. Please note that these transfers are at set times, and shared with other guests. The time of each transfer is usually to best fit with the majority of guests’ flights, but please let us know your needs at the time of booking. Equipment rental fees are in USD$ and inclusive of local taxes. Please let us know as soon as possible of your needs and sizes, when appropriate.